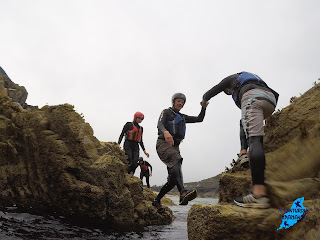 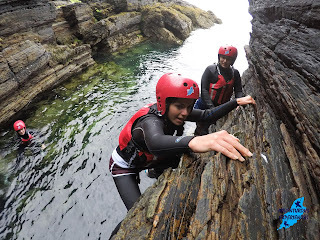 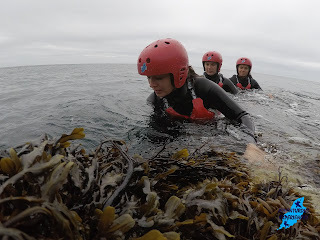 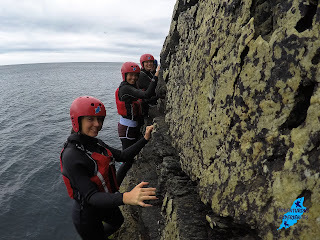 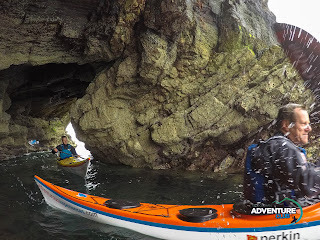 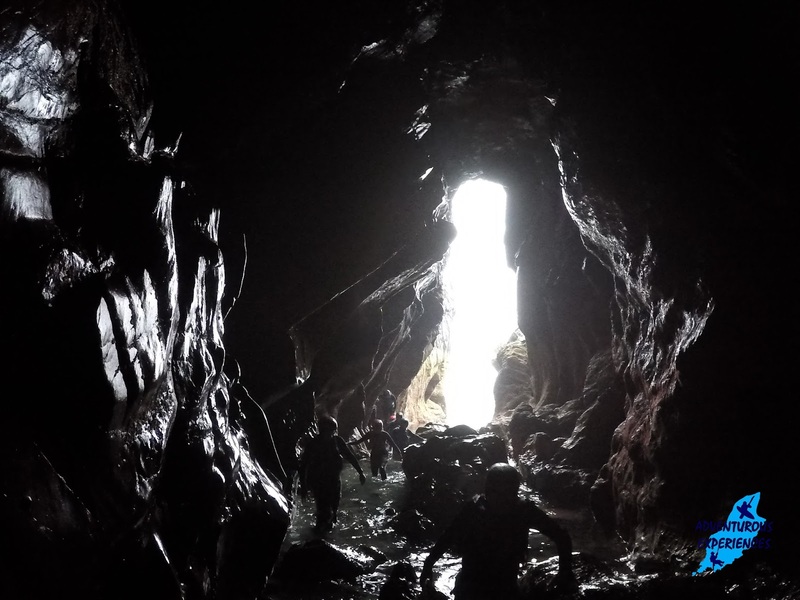 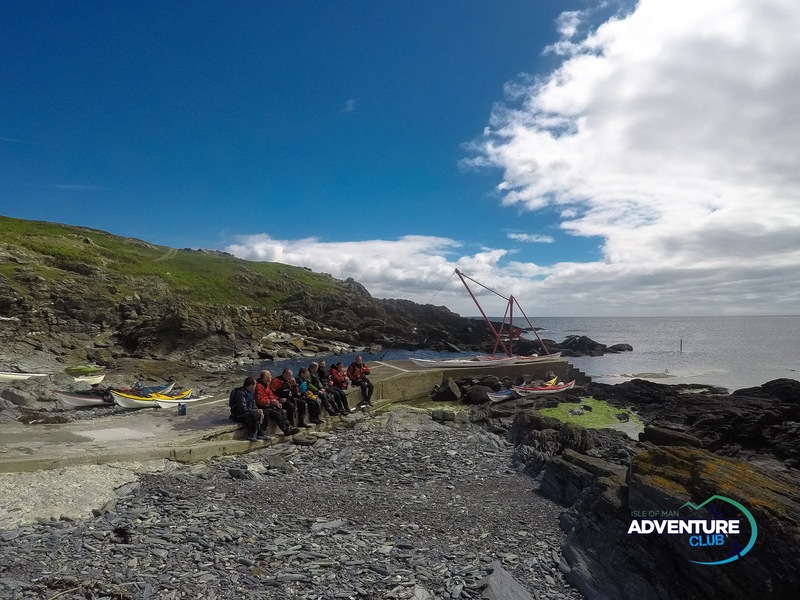 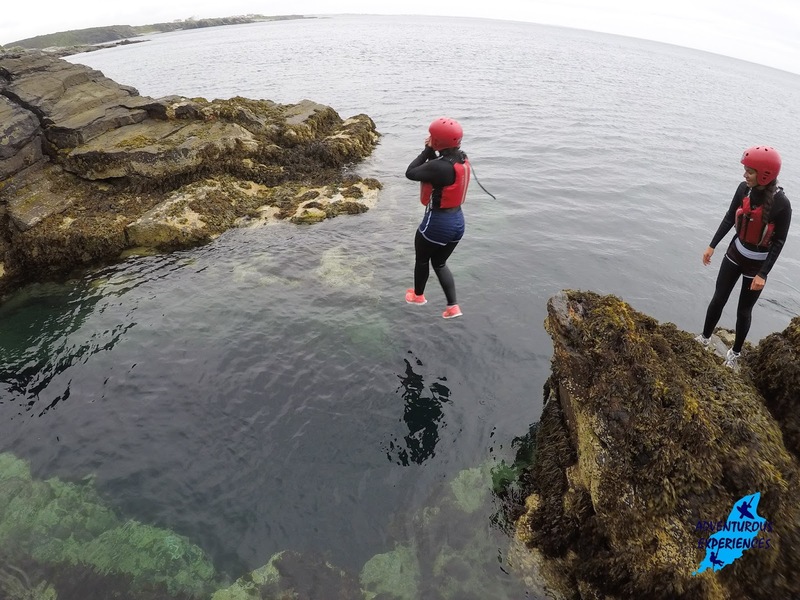 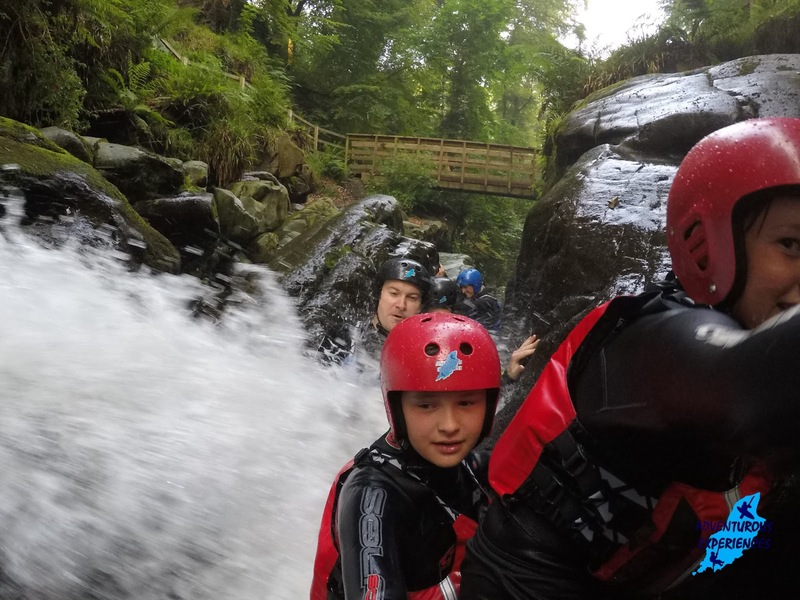 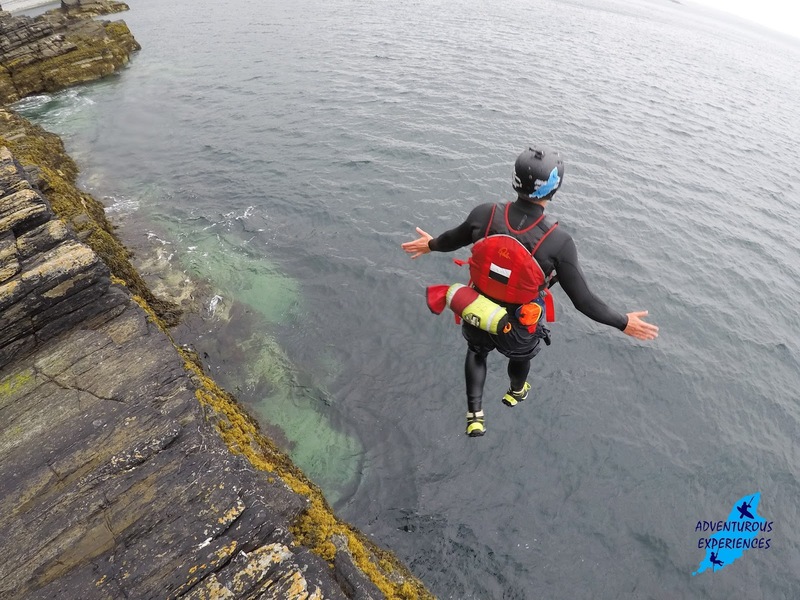 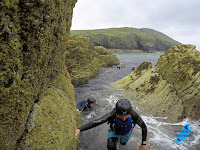 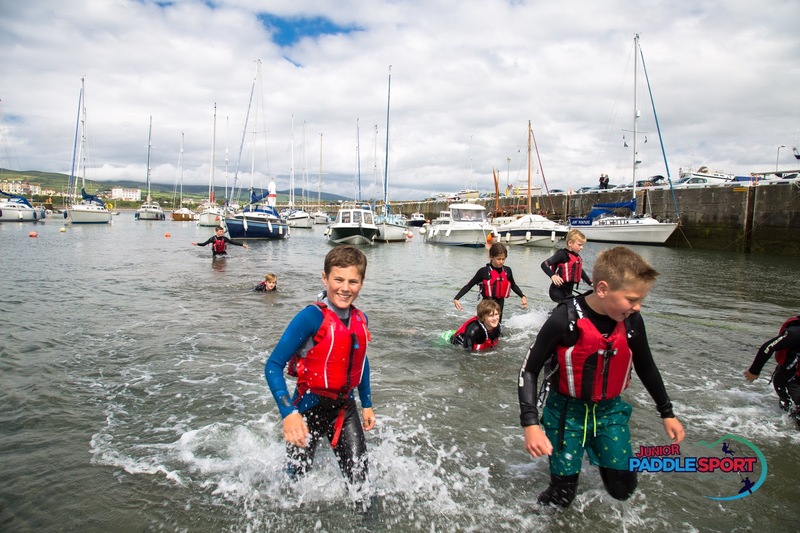 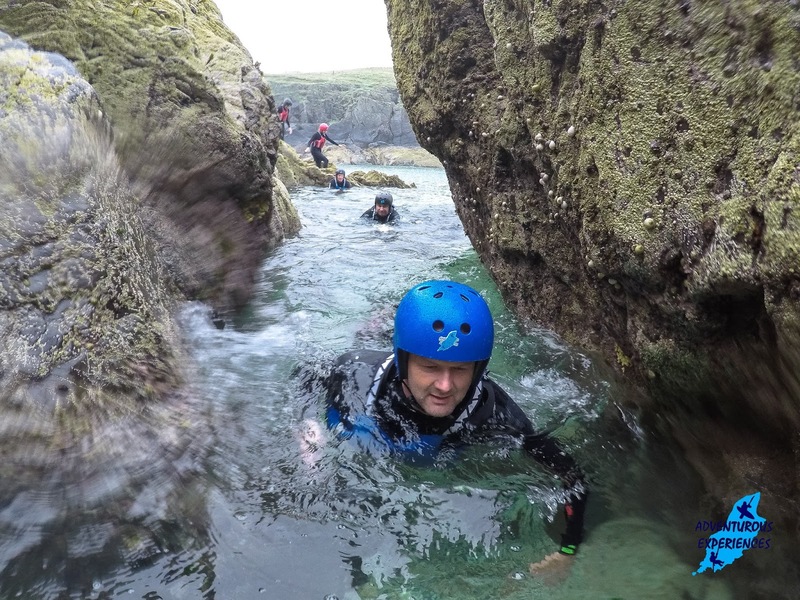 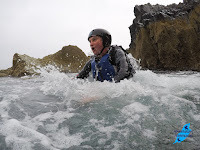 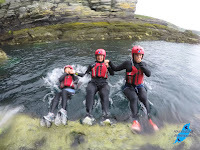 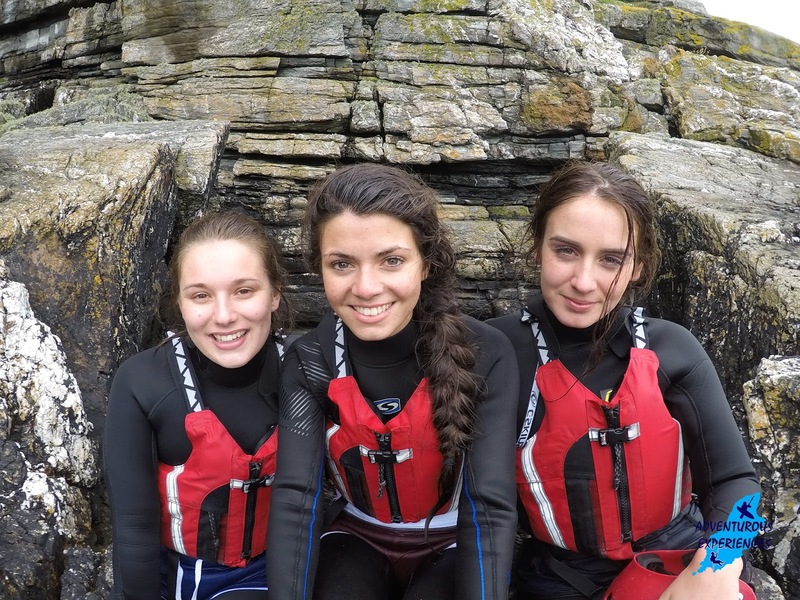 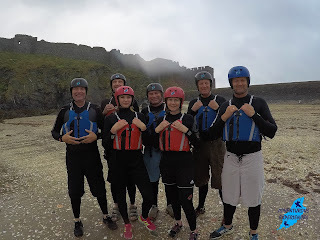 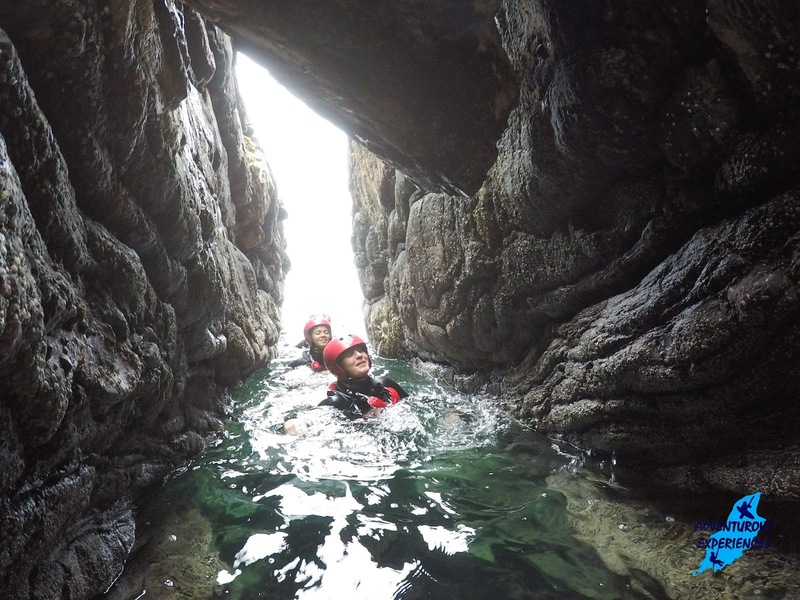 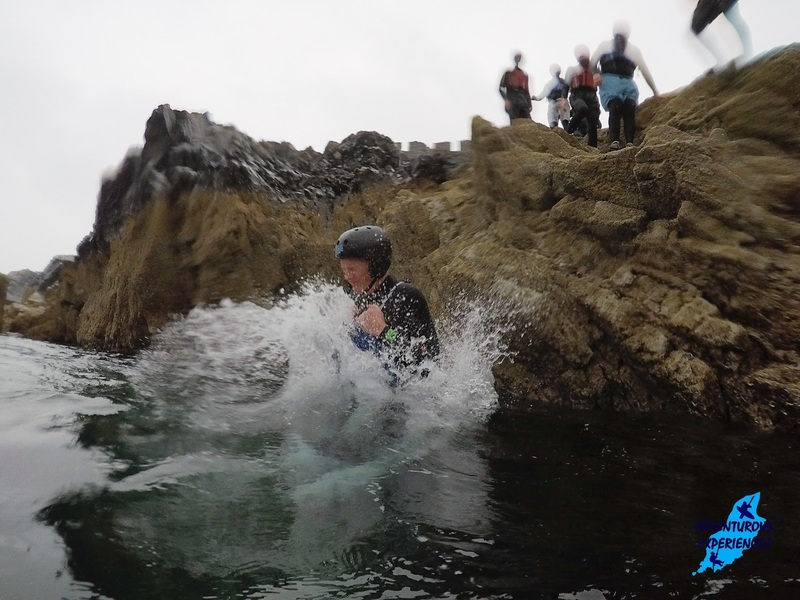 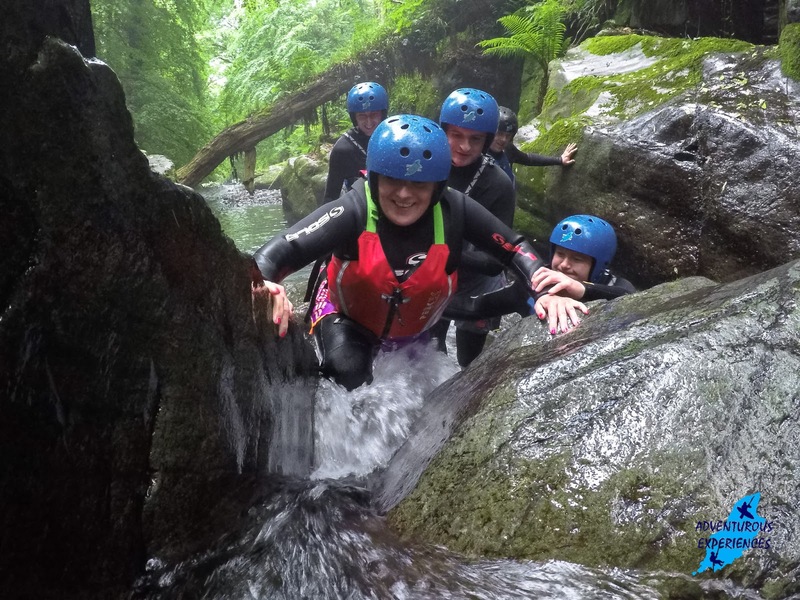 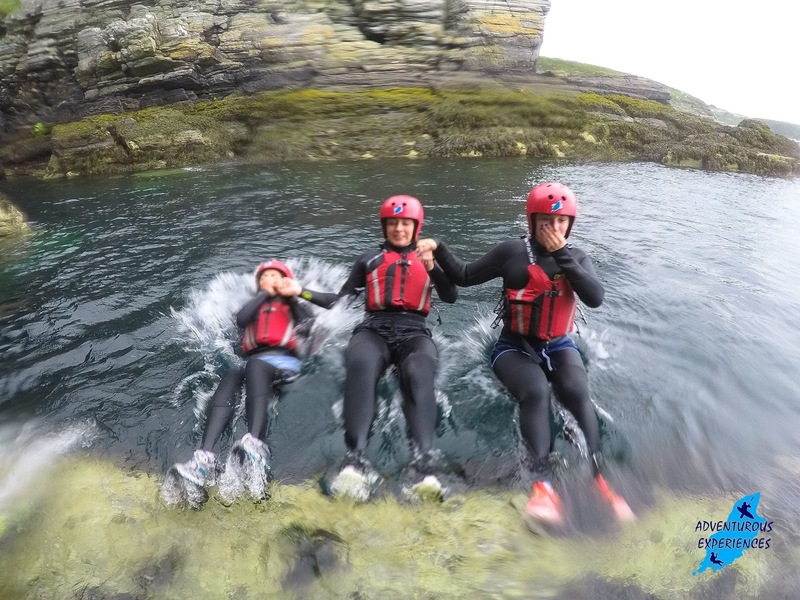 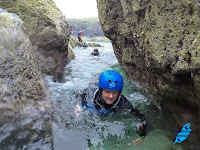 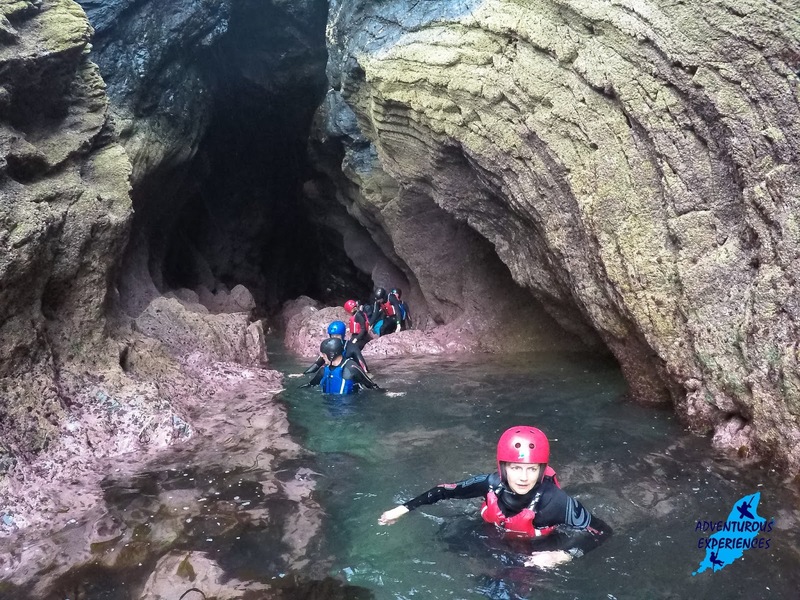 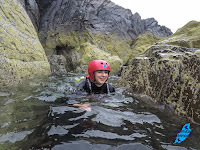 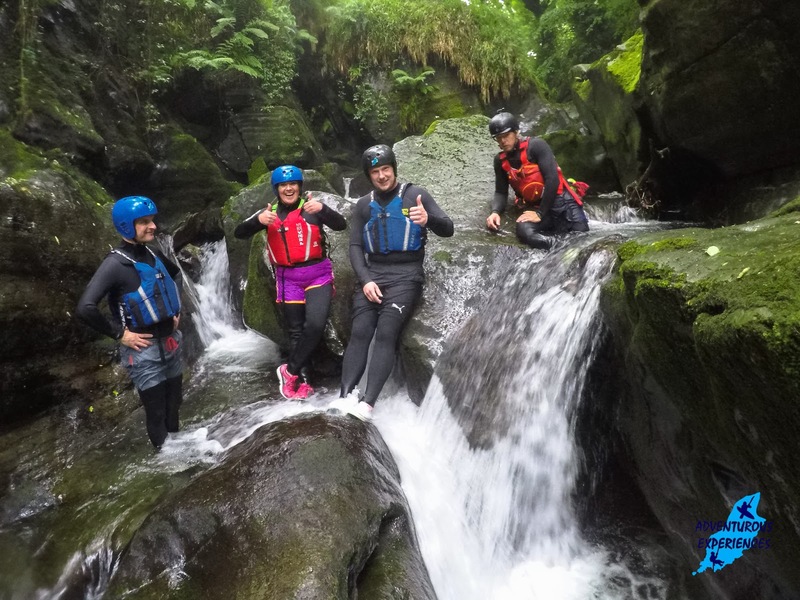 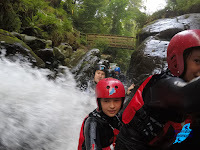 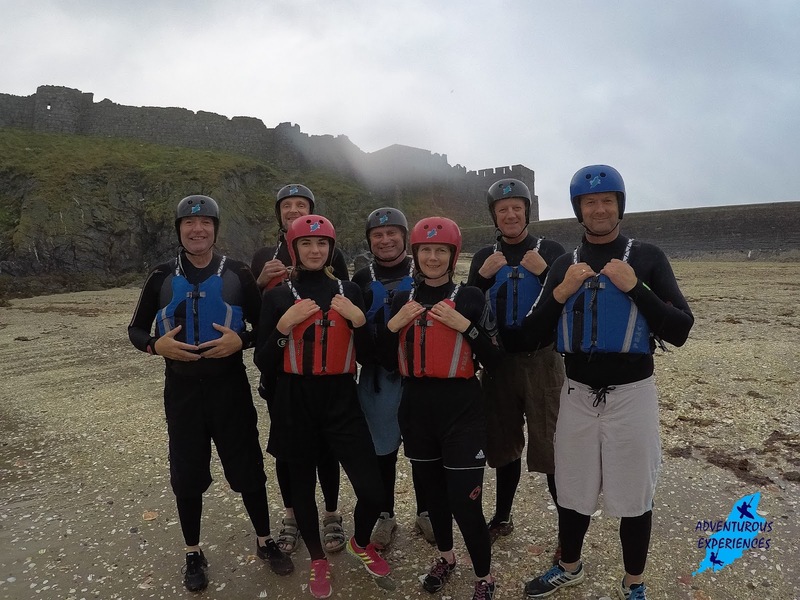 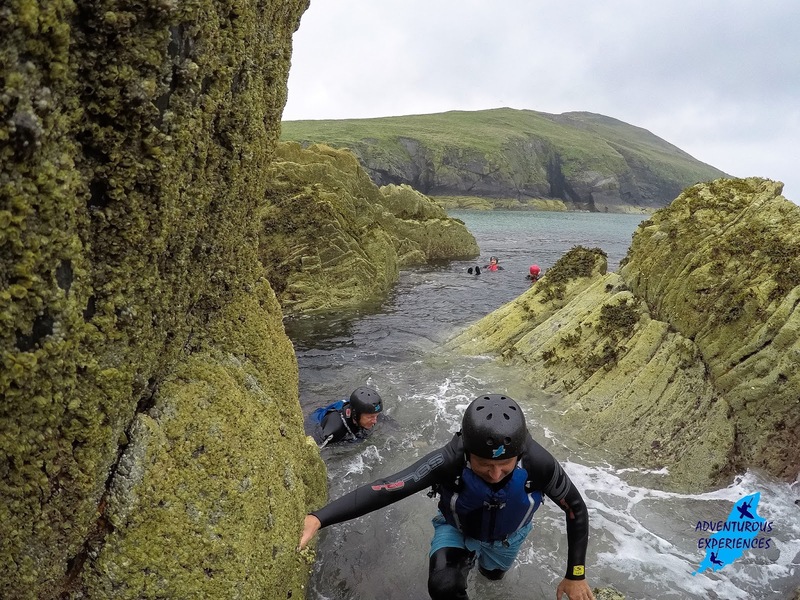 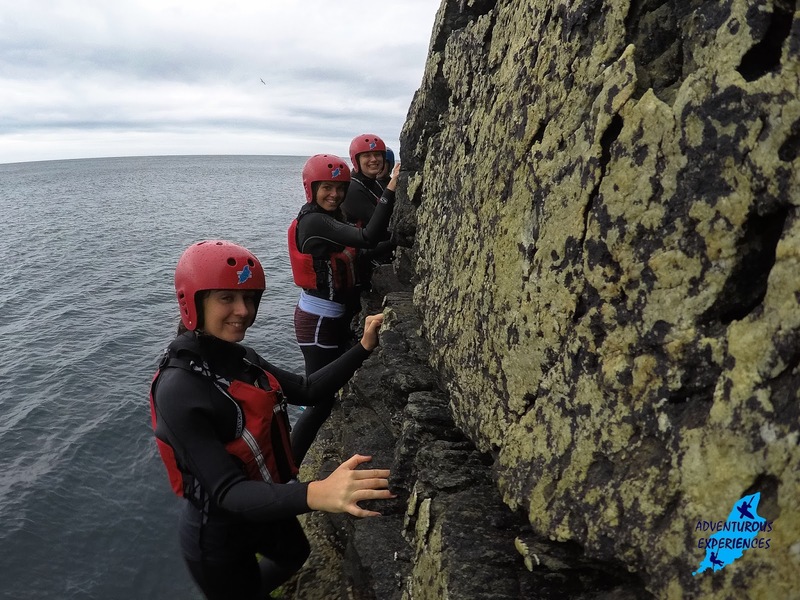 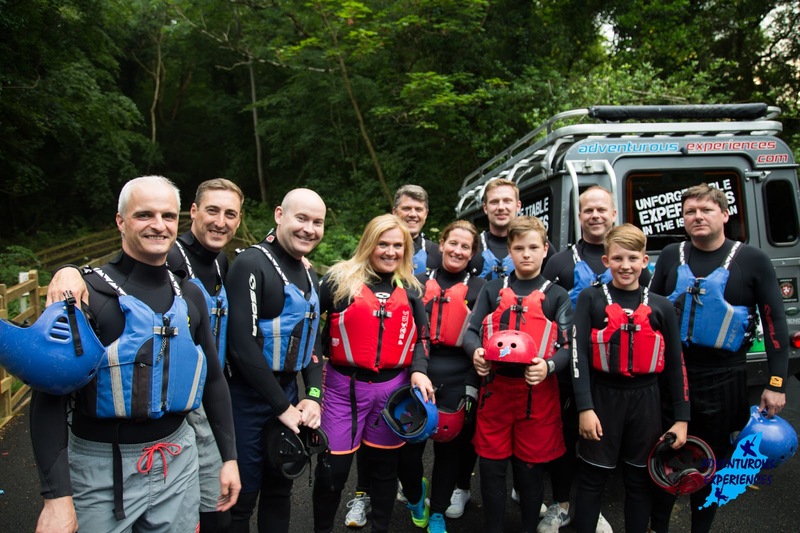 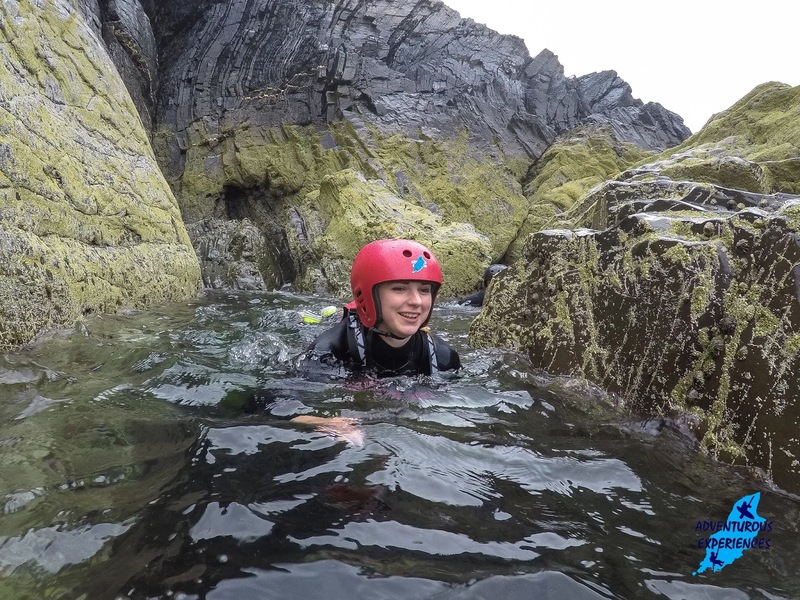 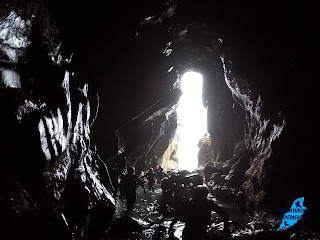 Kim and Fergus are back from a Coasteering experience on the South coast of the Isle of Man. 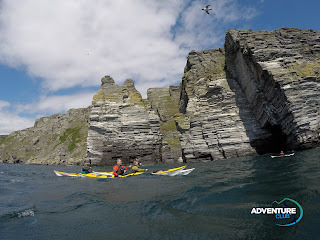 Saw 7 Basking Sharks from the kayaks (just in the area we were bobbing around in) on Monday morning, out with Becca, Calum and Tim... absolutely mind blowing!! 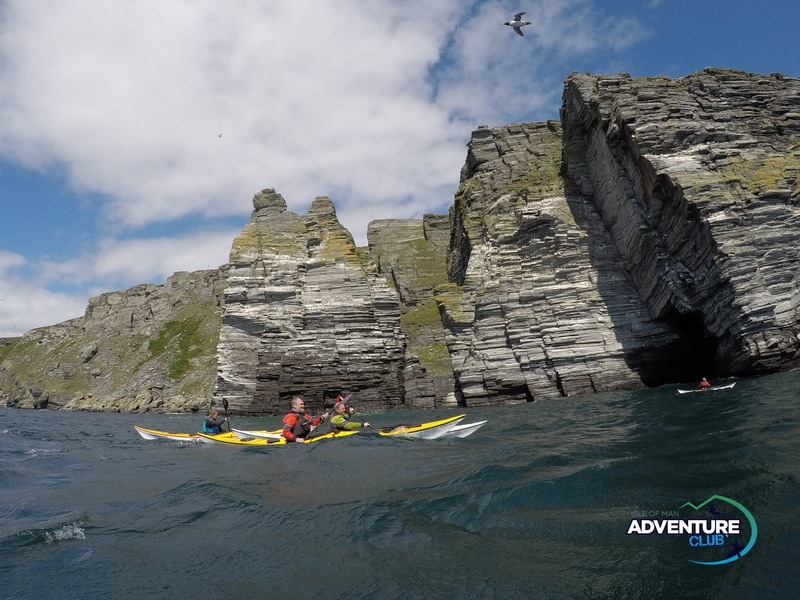 At one stage 3 were slowly circling round my kayak, feeding with their mouths wide open! 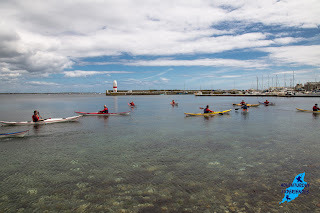 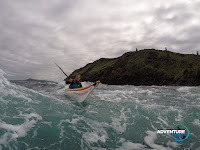 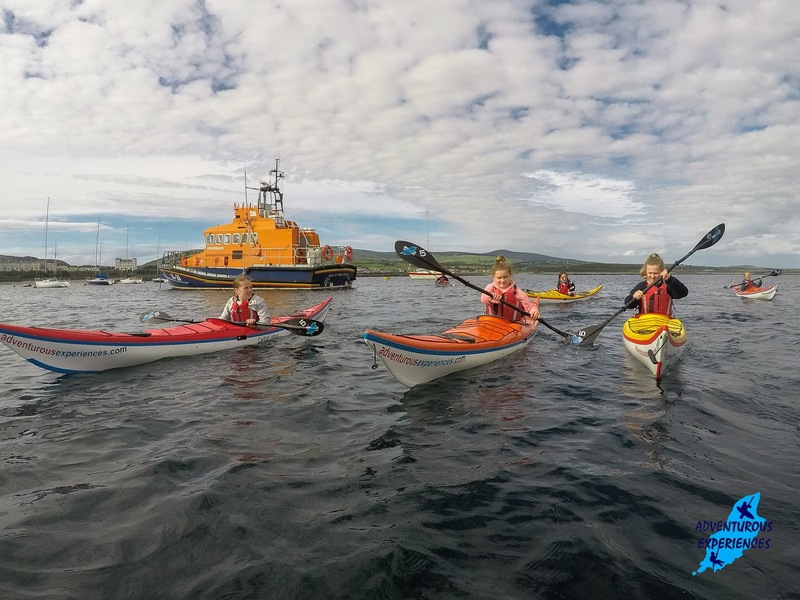 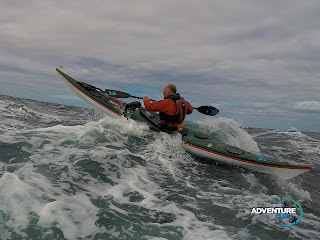 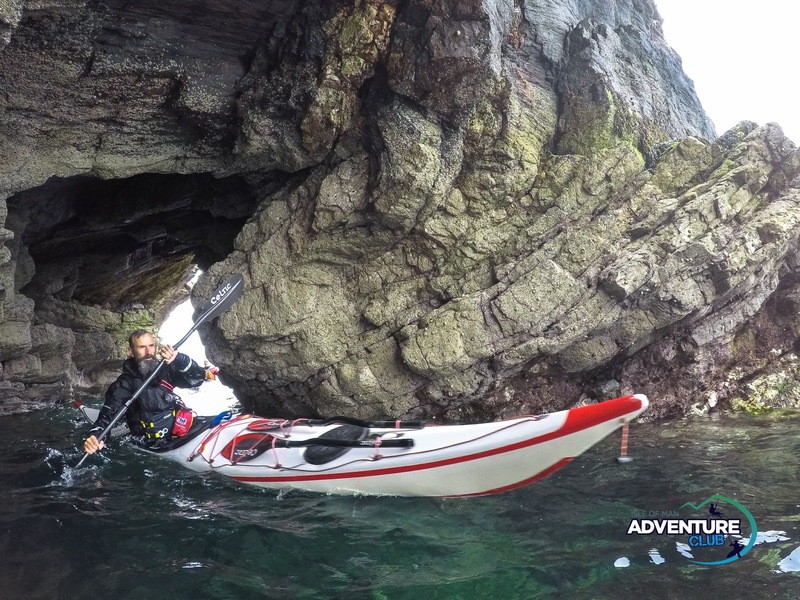 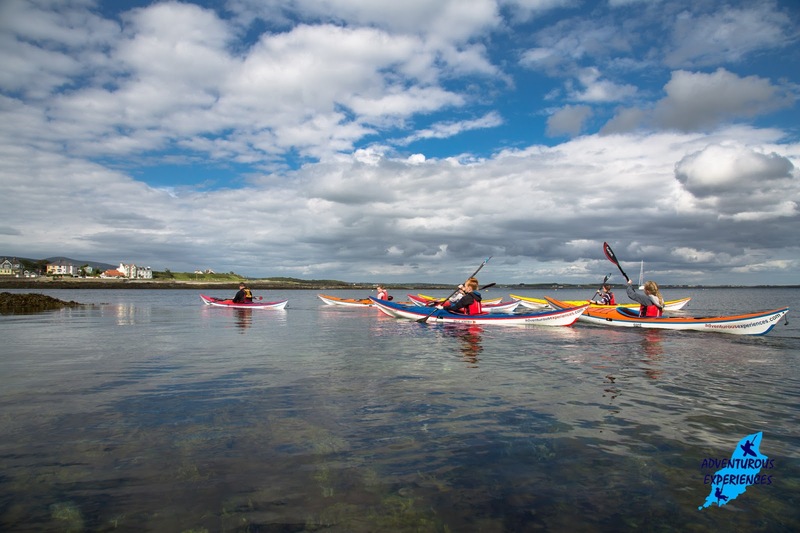 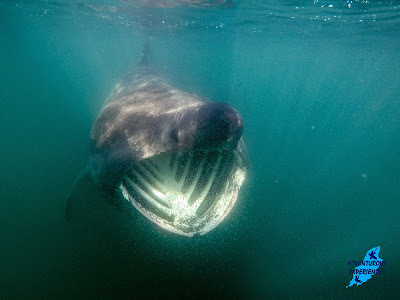 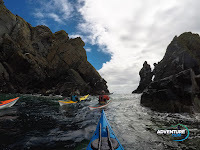 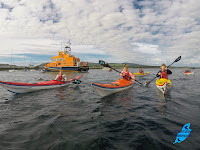 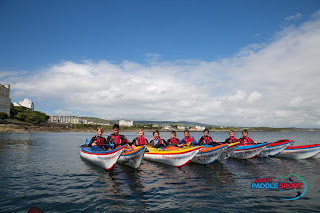 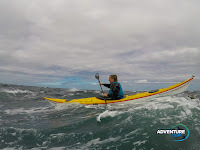 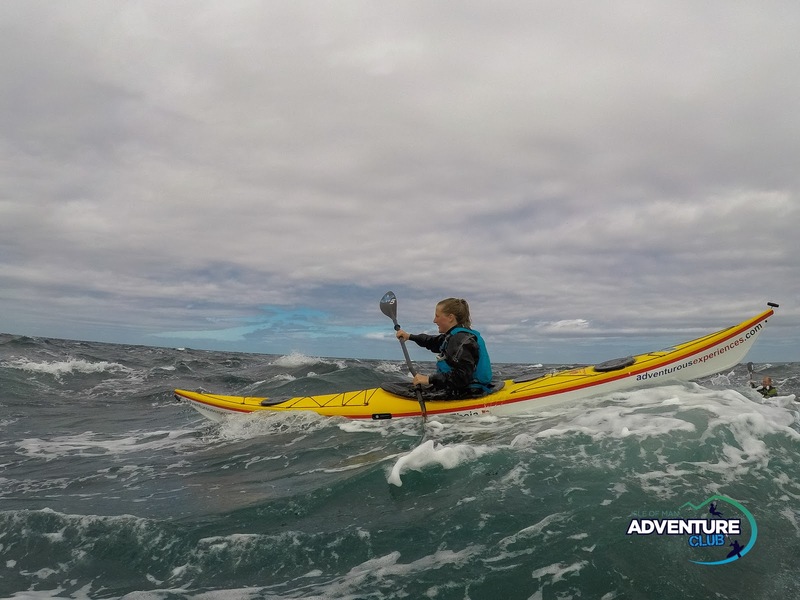 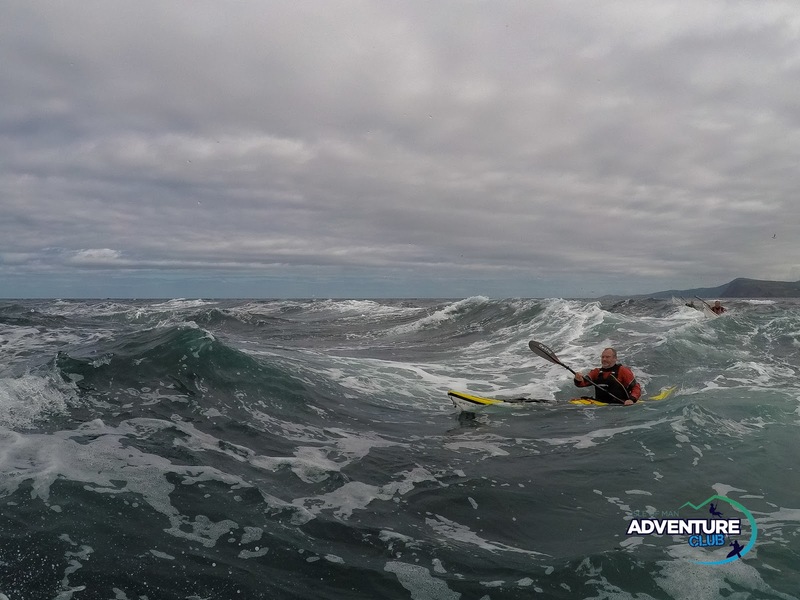 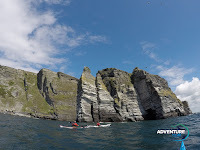 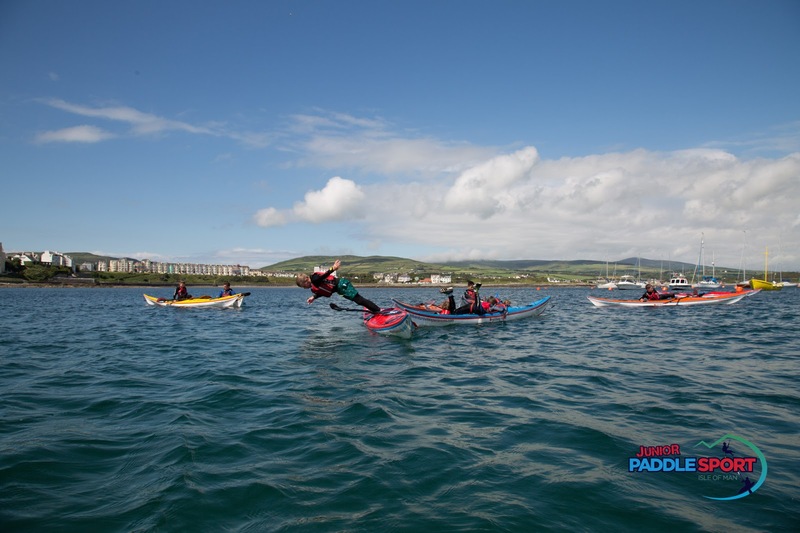 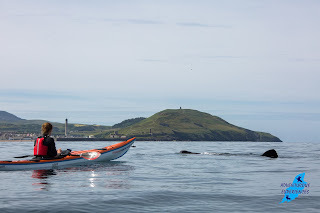 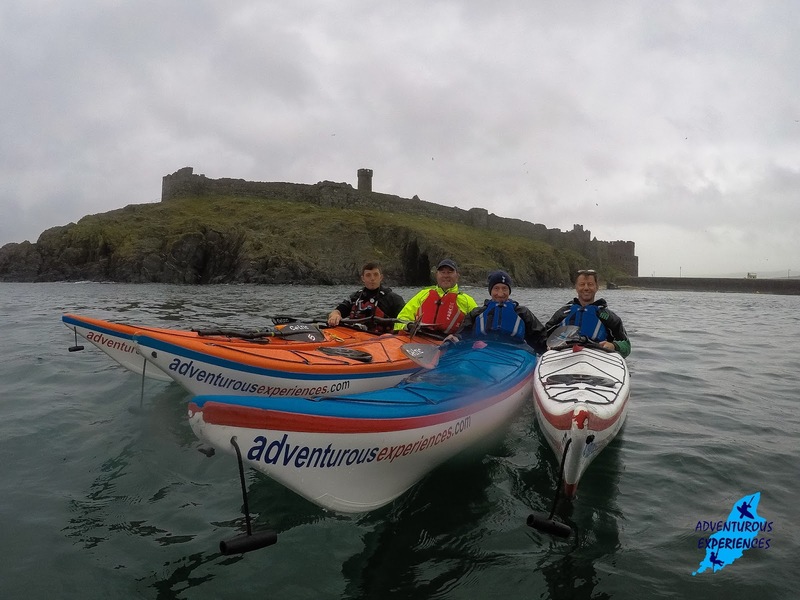 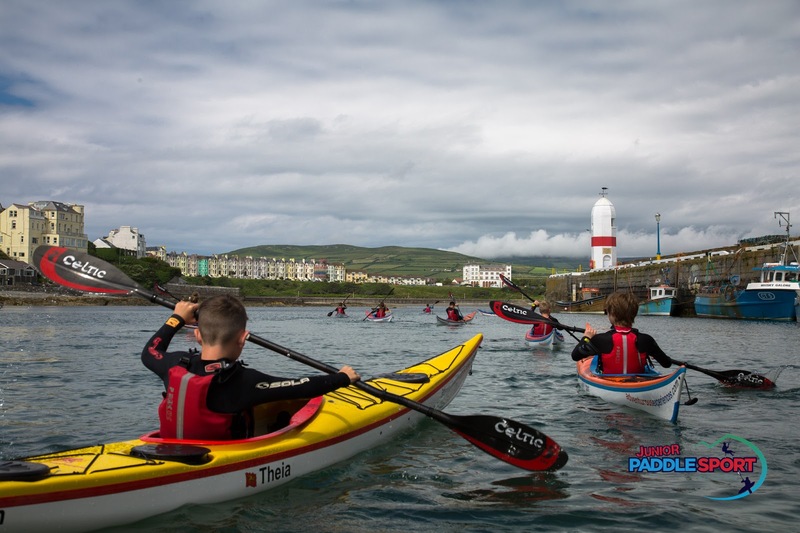 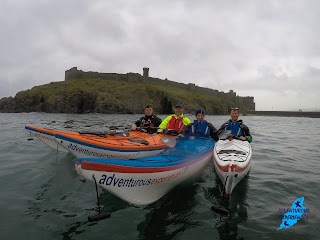 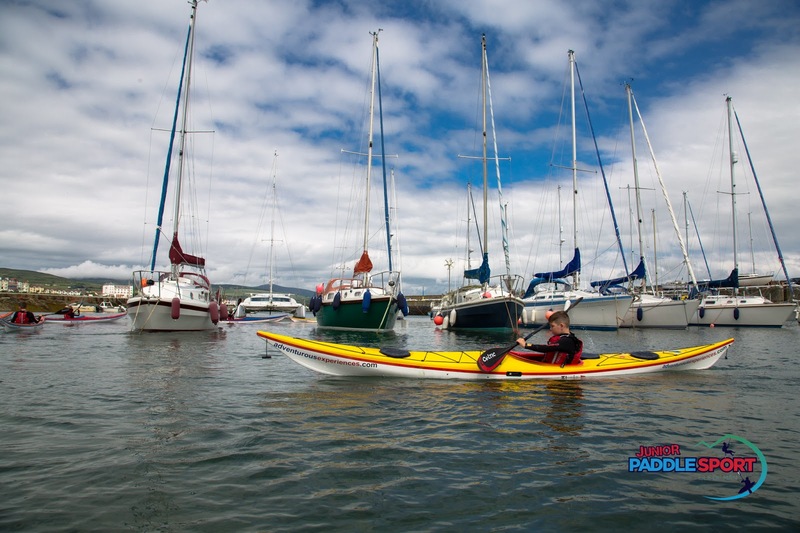 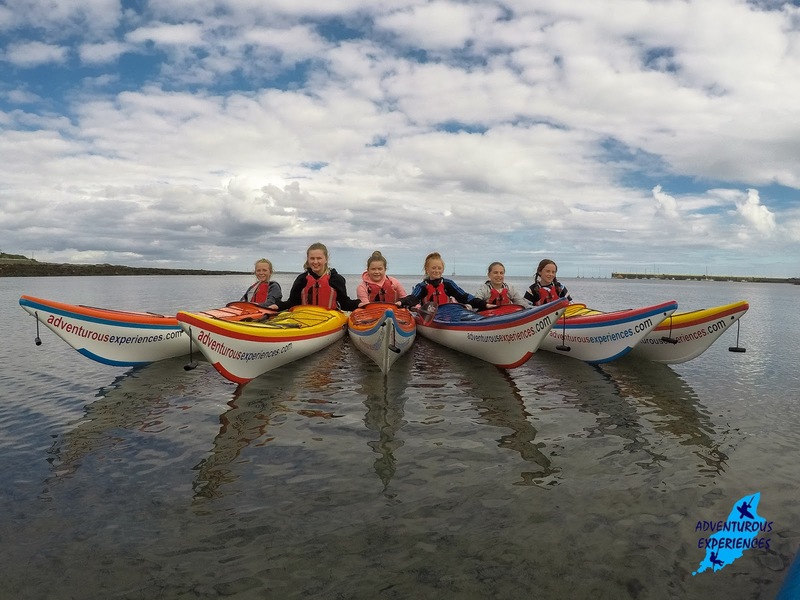 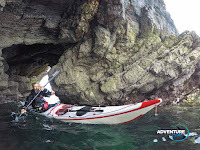 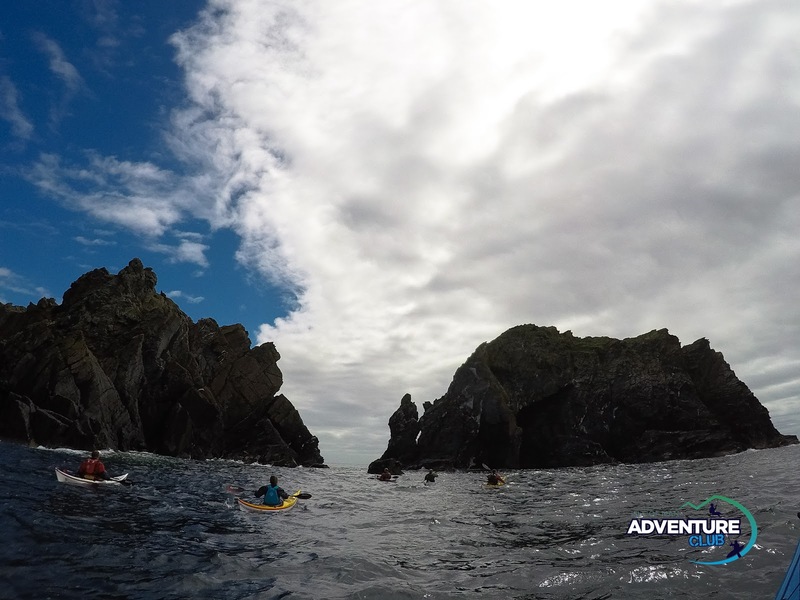 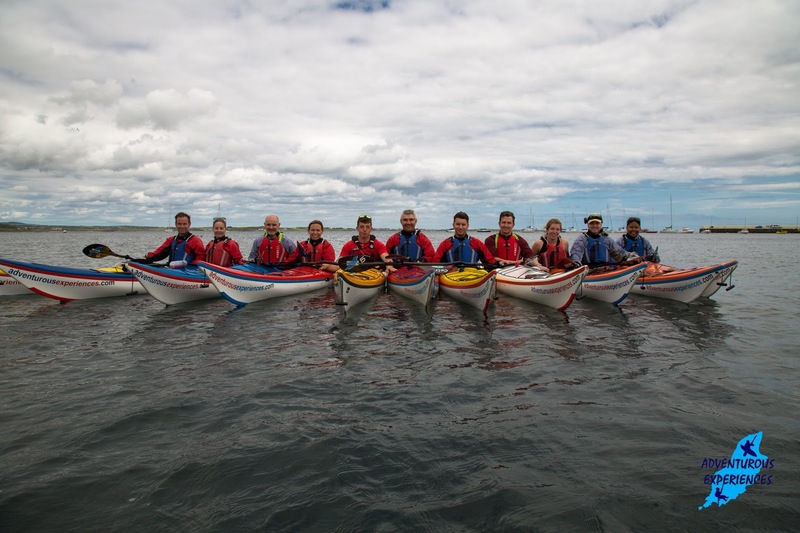 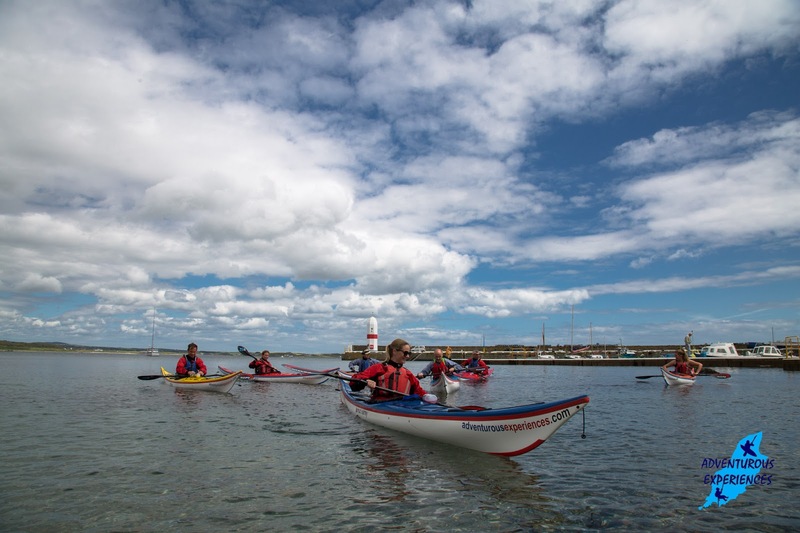 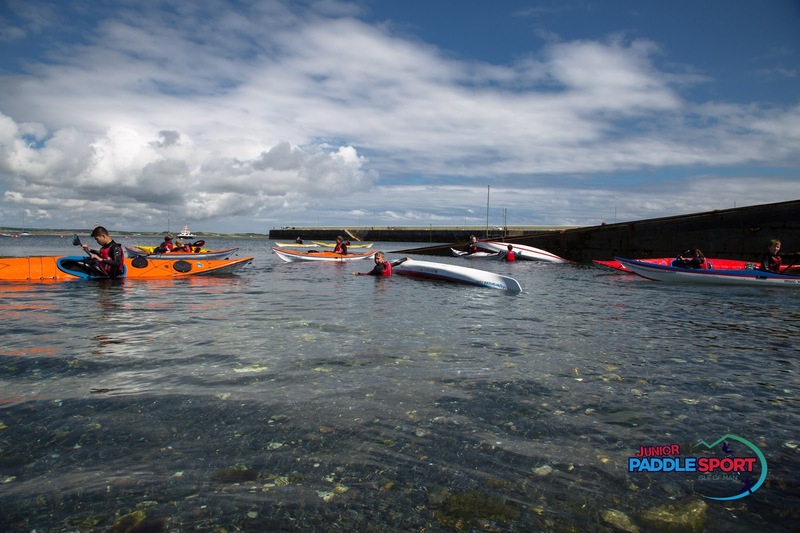 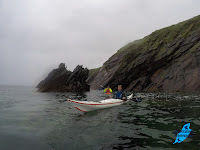 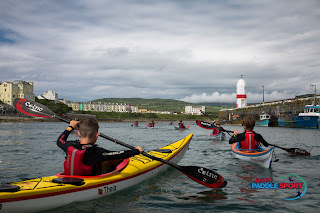 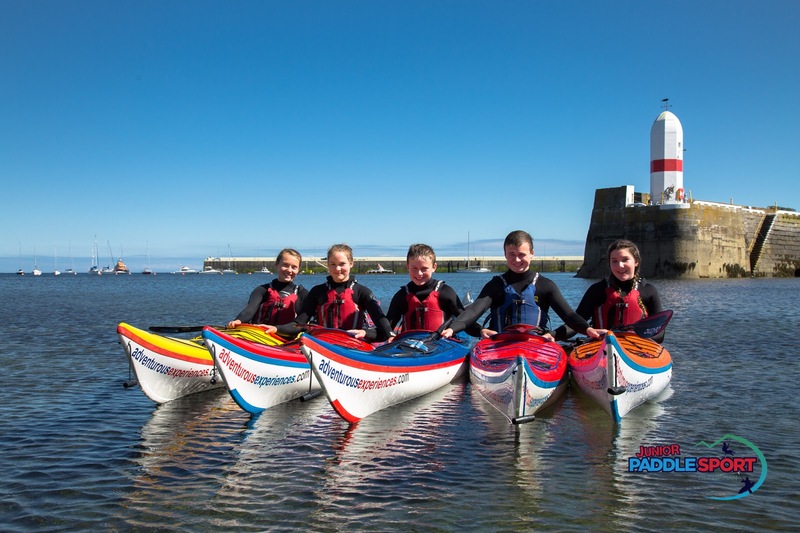 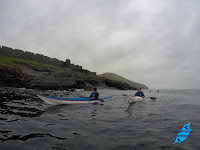 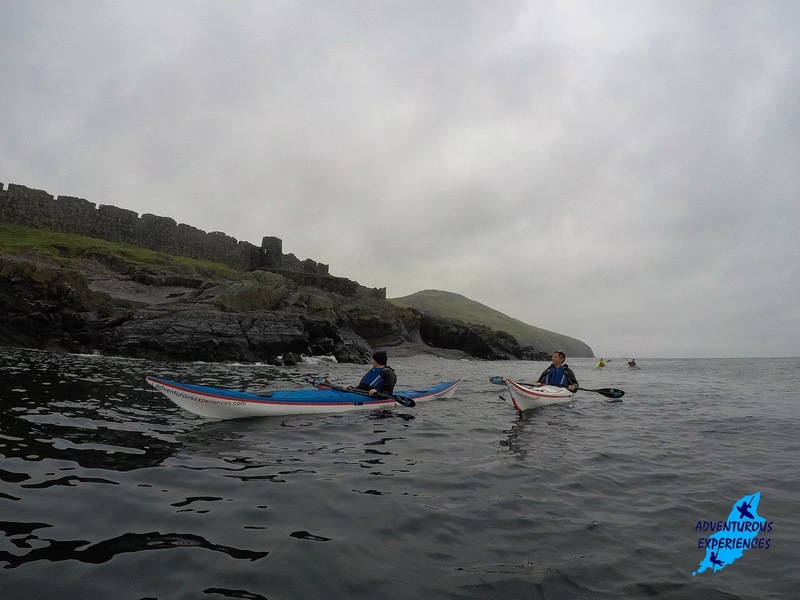 "Giant basking shark circles kayakers off the coast of the Isle of Man in heart-stopping pics"
Keirron and Kim are just back in from their third session of the day Sea Kayaking from Port St Mary, on the south coast of the Isle of Man. 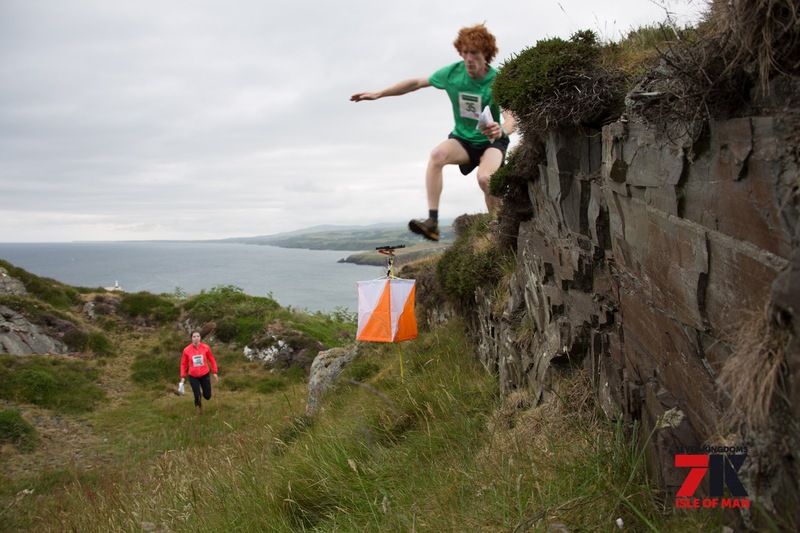 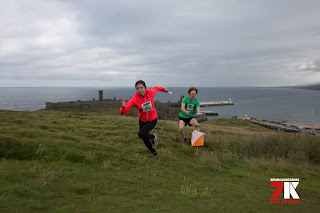 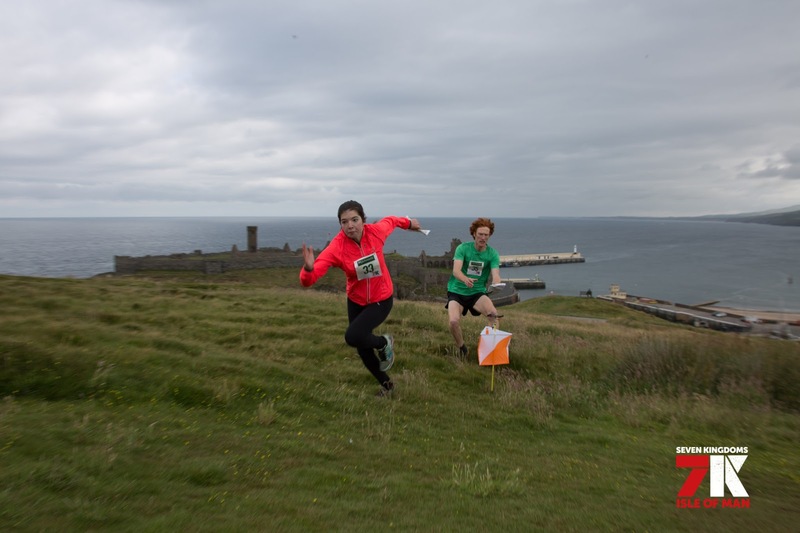 Saturday morning was a promotional photoshoot for our Seven Kingdoms Isle of Man Orienteering Championship, in association with Isle of Man Orienteering Klubb (IOMOK). 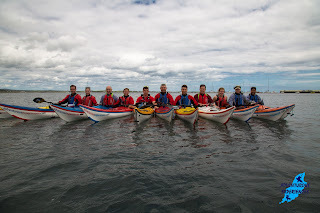 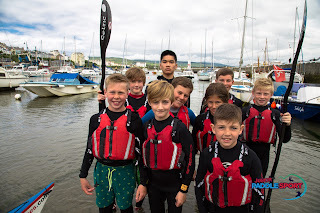 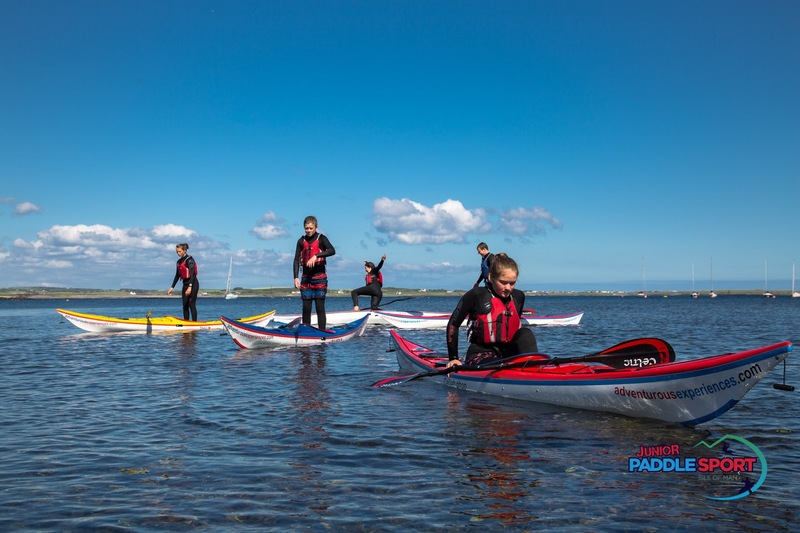 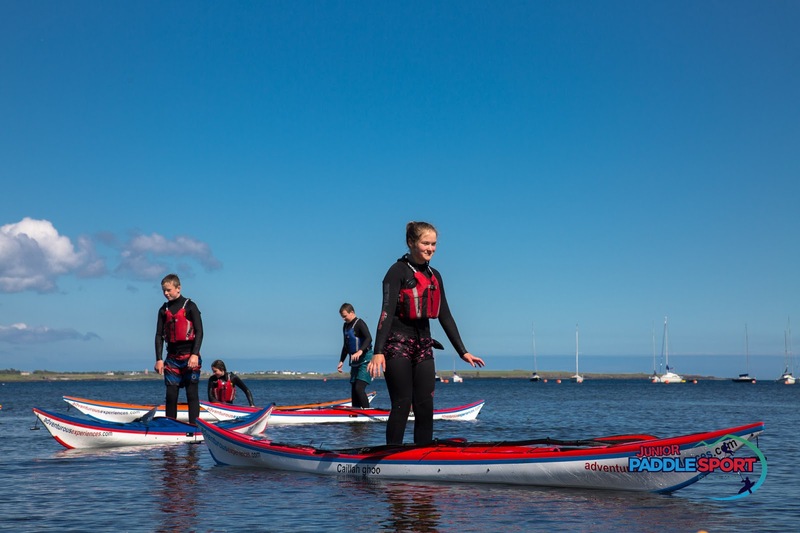 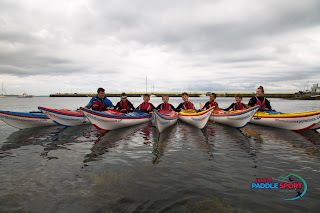 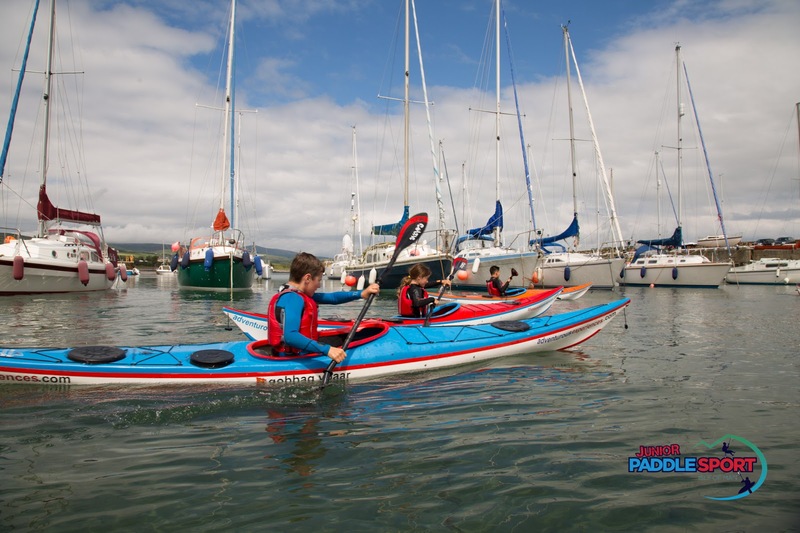 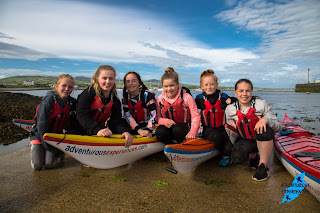 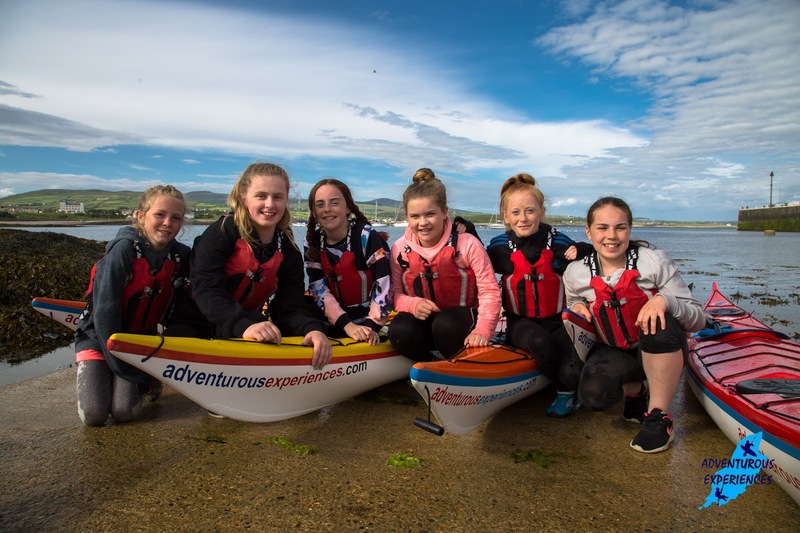 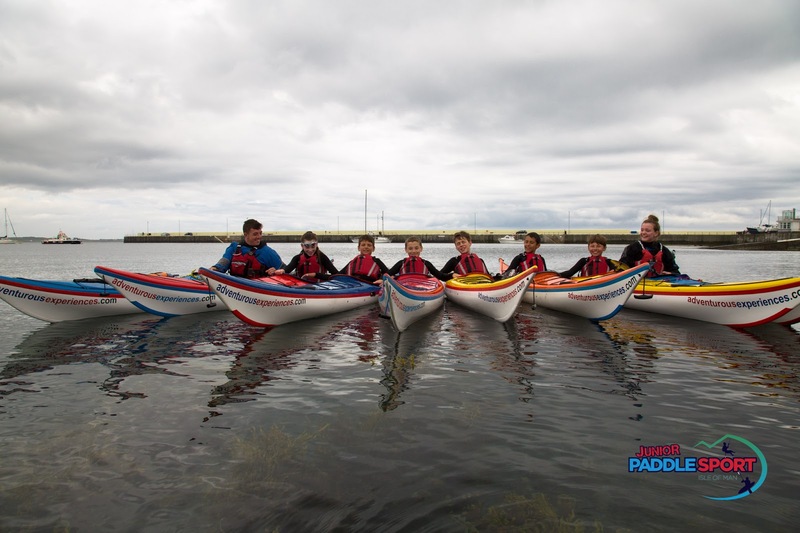 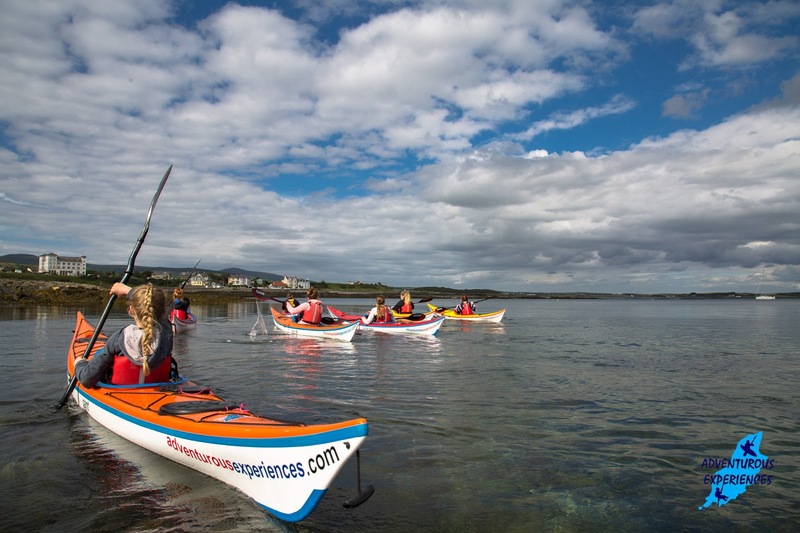 Saturday afternoon was the Junior Paddlesport program, 'Learn 2 Explore' outdoor skills development: Sea Kayaking. 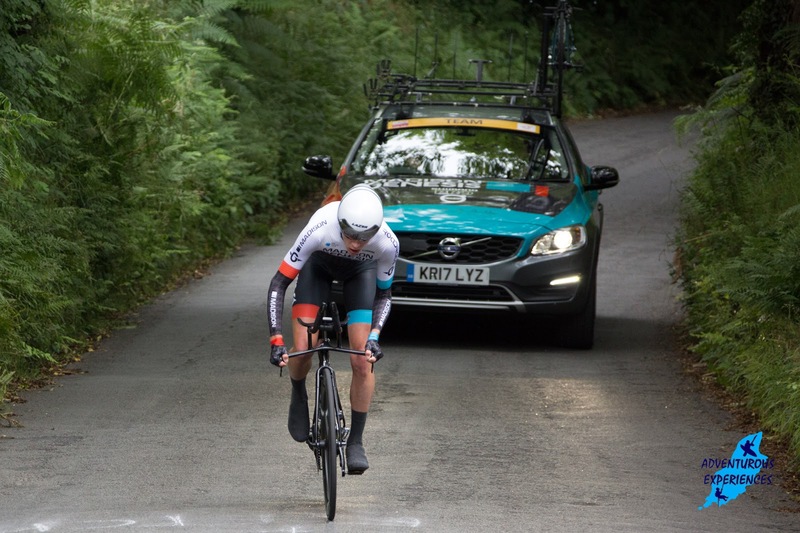 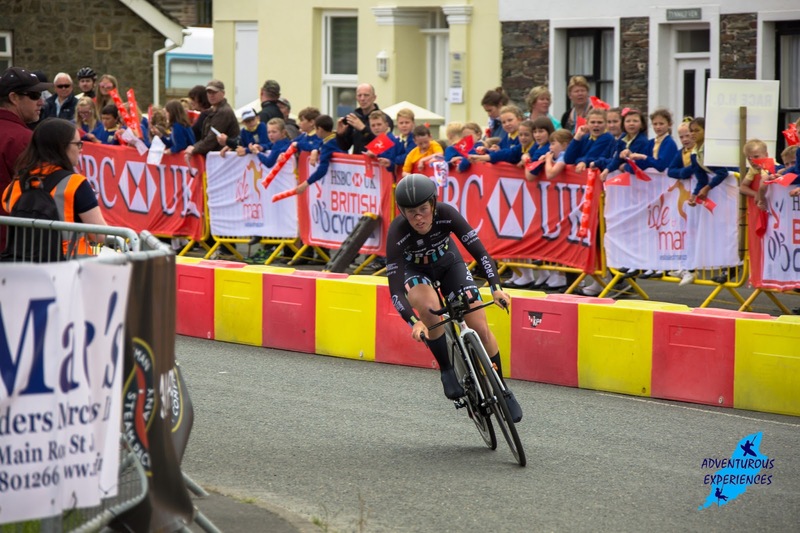 Saw a few of the time trials on Thursday (first day of the British Cycling Championships in the Isle of Man). 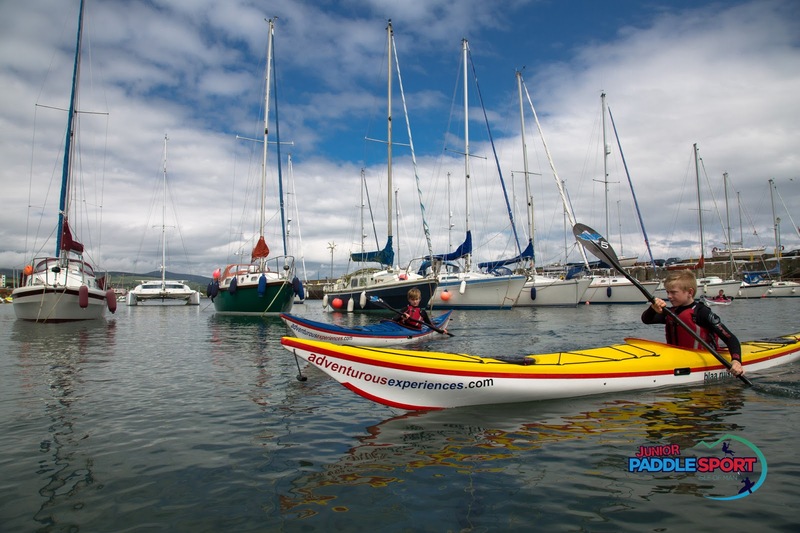 Katia is back for the summer!